Performance Support – how is it different from learning? What is learning? Learning, simply put is the transfer of knowledge and expertise with an objective to instruct and facilitate learning interventions, usually undertaken in a classroom setup. Then what is Performance support/Performance Support System (PSS)/Electronic Performance Support System (EPSS)? And how is it different from learning? Performance support is making available information or ‘providing support’ to the workforce as and when they need it at the work place, boosting performance. It works a little like the ‘help option’ in MS Office, but is a lot more advanced, accurate and intuitive. So what is the whole point of all these long training sessions when there is performance support to assist the workforce? It’s like this. You visit a car showroom and the sales executive explains a list of features in the car that you are interested to buy. He also gives you a brochure which has all the specifications he just mentioned. Now you are not going to remember or understand all that that the sales executive just said. So you will refer to the brochure. Performance support is like that brochure. It gives the workforce all the information they need; be it about a new software or a complex business process. So how does performance support help the workforce? The biggest boon is that performance support gives the workforce clarity and direction about a particular process or software once training is complete. Because there are always those things that you just cannot learn sitting in a session but have to learn while on the job, performance support is critical. It saves all that precious time employees spend looking for information on multiple processes. Employees will also feel at ease at the workplace knowing that there is performance support to help them out with all the questions they have. They don’t have to waste time looking up information on google, calling the help desk or even reading the manual. The concept of performance support is being accepted more widely because businesses very well know that time is money and no one want to waste either. 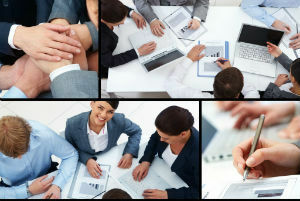 Employee DevelopmentPerformance ManagementTraining and Management.